Toby Gerhart-RB-Vikings-10%Owned- Under the assumption that Gerhart’s hamstring has healed enough to allow him to play, he should be the top add this week. It looks more and more like Adrian Peterson will be sidelined with a nasty foot injury making Gerhart next in line. If he can’t go FB/RB Matt Asiata would start. Chris Ogbonnaya-RB-Browns- 22% Owned- Here too, you will have to wait and check on the status of Willis McGaHee who sustained a concussion in last week’s game. Ogbonnaya would be his replacement should McGaHee be held out as a precautionary measure. Grab whoever is starting (McGaHee is owned in just 14% of Yahoo! Leagues) as they go up against a Bears team that gives up the 2nd most fantasy points to RBs. 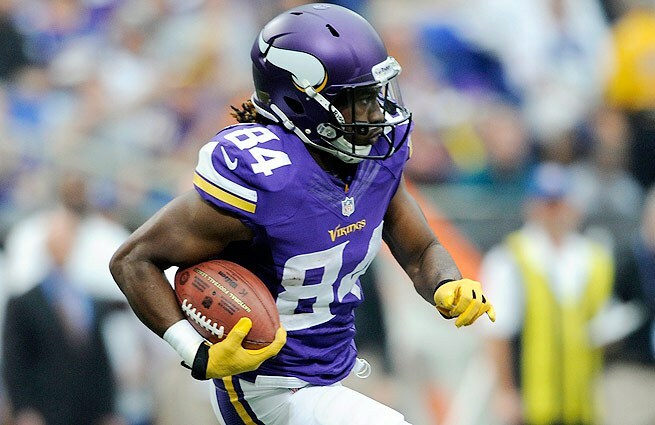 Cordarrelle Patterson-WR-Vikings- 27% Owned- Patterson, strictly a pickup in deeper leagues of 12 or more, presents a triple-threat to his opponents as he HAS scored in three different ways this season; 1 rushing TD, 2 receiving, and 2 via the kickoff return route. The Eagles, who the Vikes will face this week, have given up the most fantasy points to WRs this season. Jacob Tamme-TE-Broncos- 6% Owned- After WR Wes Welker suffered a concussion last week, Tamme moved over to the slot position vacated by Welker. Sunday’s contest against the Chargers should be a high-scoring affair and so we would expect a more productive day for Tamme who had 4 receptions for 47 yards in limited action last week. He could help those who lost Gronk for the season to garner some of those missing fantasy points. Dennis Pitta-TE-Ravens- 14% Owned- Pitta whose return has Joe Flacco drooling with anticipation, can be another decent replacement for TE Rob Gronkowski. Over the past two seasons, Flacco has completed three quarters of his red zone passes to the big TE which makes him more than serviceable. 1. The 4 hour, 14 minute game was the longest Super Bowl in history. 2. The Super Bowl was only the second league championship game in NFL history (including the Pre-Super Bowl era) in which each team scored 30 or more points. The first was when the Steelers defeated the Cowboys 35-31 in SB XIII. 3. 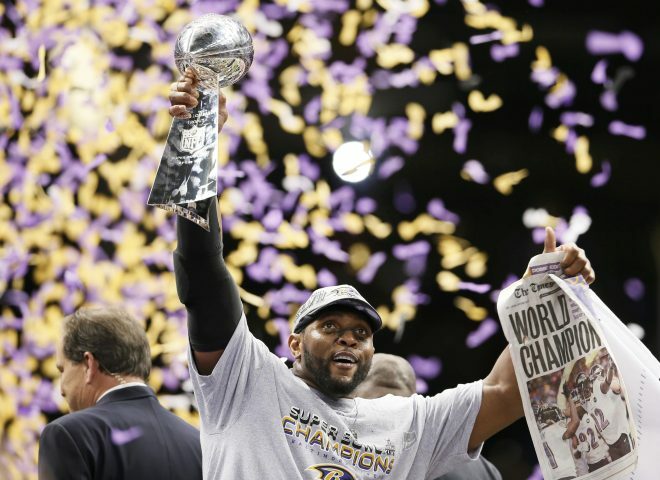 The Ravens are the 12th team to win multiple Super Bowls. 4. 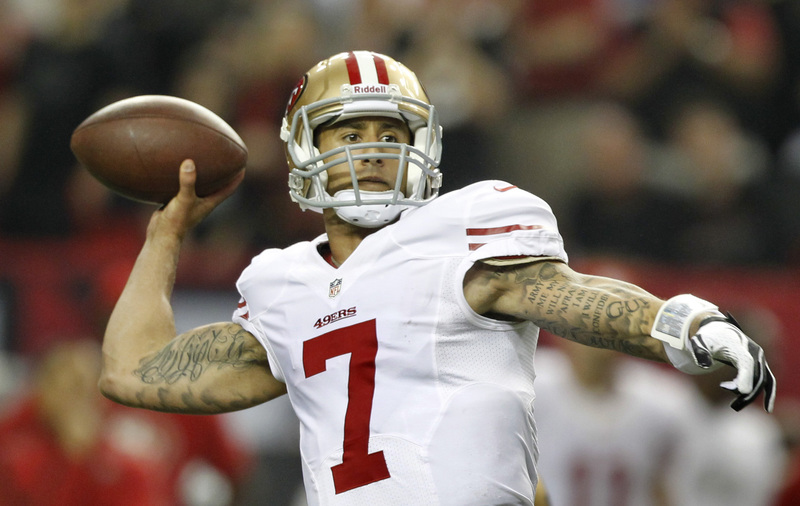 Colin Kaepernick ran for a 15 yard touchdown in the fourth quarter, the longest TD run by a quarterback in Super Bowl history. 5. 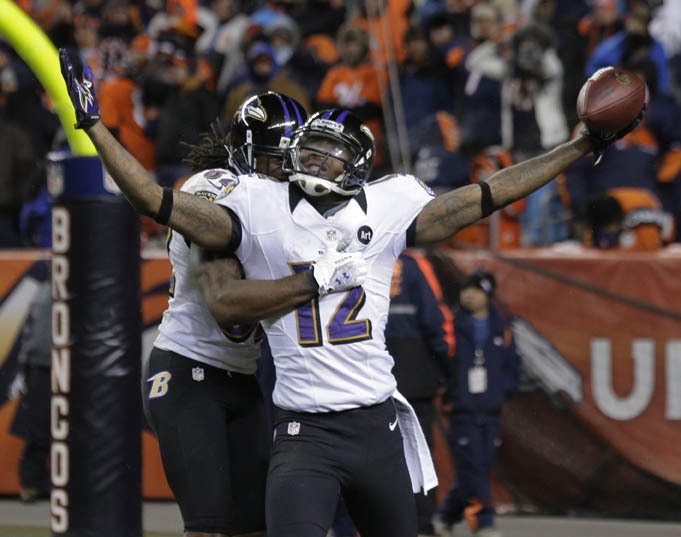 Jacoby Jones became the first player to ever score a touchdown on a kickoff return and on a reception in a Super Bowl. 6. 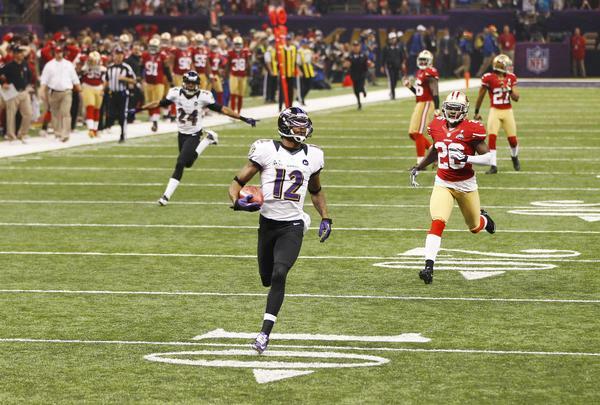 It took the Niners 4:10 in the third quarter to score 17 points which cut the Ravens lead from 28-6 to 28-23. 7. Colin Kaepernick’s interception in the second quarter when he overthrew the self-proclaimed “Greatest wide receiver who ever played the game”, Randy Moss, was the first thrown by a Niners quarterback in a Super Bowl covering 169 passes. Joe Montana and Steve Young had thrown 17 TD passes and no interceptions in the previous five games. 8. The Ravens fake field goal in the second quarter was the first one to be attempted in Super Bowl history. 9. Ed Reed made the 9th interception of his post-season career, tying an NFL record with Charlie Waters, Bill Simpson, and Ronnie Lott. 10. With the victory in Super Bowl XLVIII, Joe Flacco now has nine postseason victories as a starting quarterback. That ties Tom Brady for the most by any quarterback in his first five seasons and ties him for ninth among all quarterbacks. For starters, both teams are very well evenly matched which should bring us all a competitive & exciting game; the kind we’ve been spoiled with over the past several years. They both had similar regular season records. Frisco at 11-4-1 and the Ravens at 10-6. 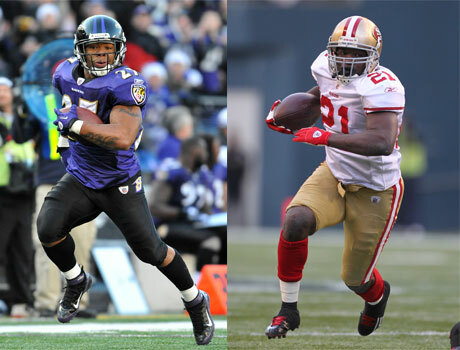 Both running backs are tops in the league and also have similar stats; Raven’s Ray Rice 1214 rushing yards and 4.7 YPC. Frank Gore finished the season with 1143 yards and 4.4. So no ‘clear cut’ edge in this department. In total offense, again, it’s pretty even with the 49ers at 361.8 yards per game vs 352.5 YPG for the Ravens. On defense the 49ers have an edge with 294.4 yards allowed per game while the Ravens check in at 350.9 YPG. Even in kickoff returns it was ever so close when you check the numbers. Ravens speedster Jacoby Jones had a kickoff return average of 30.7 yards while the 49ers return man, LaMichael (don’t call me LeBron) James ended up with 29.8. No big disparity there. 1. We like the way that another slightly above average team during the regular season (remember they lost 4 out of 5 at one point), has come on strong at the end of the season and has turned it up a notch by beating two pretty good road teams at Denver and New England. You have to get some recognition when you can beat Peyton Manning and hold Tom Brady scoreless in the second-half on the road. It’s reminiscent of the Packers, Giants-on two occasions- and the Steelers runs for the championship. There is just something about teams that can get hot in the post-season that seems to be the trend of late. 2. The over-played out drama that Ray Lewis’ retirement announcement has brought to the table, has an intangible that could continue to help drive the Ravens towards a victory on February 3rd. Lewis has made his living fostering an energy level with his team using his passion and leadership qualities that has clearly resonated with his teammates. Emotional lifts can push a team or player to heights that otherwise might not be attainable. Think Indianapolis and how that team performed for coach Chuck Pagano recovering from Leukemia and Ravens WR Torrey Smith, who less than 24 hours after losing his brother in a motorcycle accident caught 6 passes for 127 yards and 2 touchdowns. 3. Sports, it is been said can be a ‘game of inches’. All sports! Should this Super Bowl be a close one, the overwhelming edge would have to go to K Justin Tucker who finished the season connecting on 30 of 33 field goals (91% average), while his San Francisco counterpart, veteran David Akers, missed 13 field goals while hitting just 29 of 42 for a 69% average. Little impact on a Super Bowl? Who can forget, for example, Bills K Scott Norwood’s 47 yard attempted field goal that went “Wide Right” with 8 seconds remaining vs the Giants in Super Bowl XXV? 4. The biggest and most stressful position in all of sports is quarterback. Joe Flacco has way more experience than Colin Kaepernick and that will be crucial in a game played on the largest stage there is. Ravens are the pick here. Lets just hope for a competitive and exciting game!